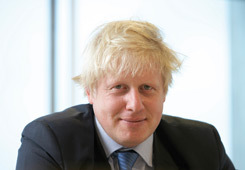 UK Business: Who is the fairest Mayor of them all? Who is the Mayorest of them all? 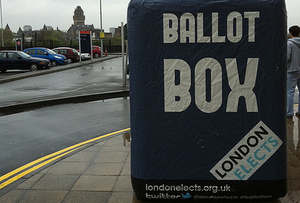 The London Mayoral race has been plagued by spats over tax dodging, personality clashes and verbal gaffes. But who is the best Mayor for the capital's businesses? MT investigates. The Mayoral race is hotting up: only one day to go until the big day. Boris Johnson is ahead of Ken Livingstone in the polls but there’s still all to play for. Independent Siobhan Benita has won the backing of Sir Richard Branson and Michael Portillo, while Jenny Jones has beefed up her policies to silence naysayers. And let’s not forget Brian Paddick, up for a second bite at the Mayoral cherry. Investing £221 million to transform local high streets, supporting small businesses. Ensuring a true Olympic legacy - 11,000 new homes and 10,000 new jobs. Reducing Tube delays 30% by 2015. Building Crossrail and orbital rail to link our suburbs. Extending the Bike Hire scheme. Securing a better deal for London from No 10. Cutting waste at City Hall - freeing up £3.5bn. What’s he’s done right: Boris Bikes. The first six months of the Barclays Cycle Hire scheme saw Londoners cycle the equivalent of 353 journeys around the world’s circumference (8.8 million total miles). What he’s done wrong: Transport fares have risen by 50% during his term as Mayor and the return of the Routemaster has proved a costly enterprise. Repeated slanging matches with former Mayor Ken Livingstone have also sullied his campaign. In his own words: ‘I’m a Mayor who tried his absolute best to unite and bring this city together.’ Followed by some Latin. What’s he’s done right: Arguably, introducing the congestion charge improved the air and traffic quality on London streets. And the introduction of the Oyster card. What he’s done wrong: That hideously expensive bendy bus experiment. And, when asked why women typically voted against him in the polls, responding: ‘If women had never been given the right to vote, then Labour would have won every election after the war’… Interesting argument, Ken. To build 360,000 homes over the next decade. offer a job or apprenticeship to all young, unemployed Londoners and award a Fair Pay Mark to companies who reduce pay inequality amongst their employees. What’s she’s done right: Jack of all trades Jenny has been an archeologist, financial controller and Deputy Mayor. She has also worked all over the world, from London to the Middle East. What she’s done right: She has a heavyweight celebrity following including Richard Branson and, er… actor Tom Conti. What she’s done wrong: Her public sector background has given rise to accusations that she will increase City Hall spending at the expense of the private sector. What’s he’s done right: The former night club owner has also served in the armed forces, and worked across the globe, including Tokyo Australia. What he’s done wrong: He has been forced to admit, as mayor, he would not have the power to deliver many of his pledges. In his own words: He told a UKIP party conference that he was bound to win because his seven-year-old daughter Jennifer had been elected to her school council and this ‘proved the Webbs can win in London. Riiiight. What’s he’s done right: ‘I want to pay back this country that has been so kind to me and my family,’ he says. Bless. What he’s done wrong: There are rumours circulating alleging his involvement in a certain 80s conflict in the South Atlantic… On the other side. In his own words: ‘I am of Italian descent which, I guess, makes me the most ‘cosmopolitan’ candidate standing for London Mayor in 2012’ MT isn’t sure this will will you many votes from BNP hard-liners, Carlos.